Chorizo Sausage Soup Recipes – Chorizo sausage can be a little on the spicy side as a pork sausage but it is perfect in soups, omelets and a variety of other regional dishes. When it comes to soups, it does not matter if you select the Spanish (chorizo), Portuguese (chouriço), Italian or Argentinian varieties of pork sausage which are available fresh, cured or smoked. 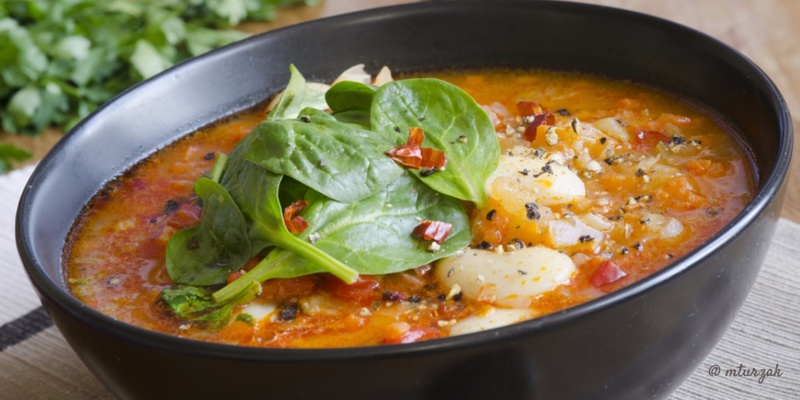 Have you tried our own Chorizo Kale Soup? What is chorizo? Check out the amazing varieties of this spicy sausage ! A Vegetable & Sausage Soup! The red color come from the smoked red peppers and the spices used in the preparation of the sausage. There is also Mexican chorizo sausage which gets its spicy taste from chili peppers! Below is my sister’s recipe but I also collected a few more Chorizo sausage soup recipes. Break out the cups, mugs or bowls and your favorite soup ladle. Soup’s on! Today is the first really chilly day we’ve had so far this Fall. It’s starting to feel like soup weather everywhere. I’m considering a vegetable soup with the leftover ham bone but my sister sent an email with this recipe for her simple version of Chorizo sausage soup. To tell the truth, there are as many version of this combination vegetable and sausage soup as you can imagine. Everyone from Rachel Ray to Jamie Oliver have a version of this soup. 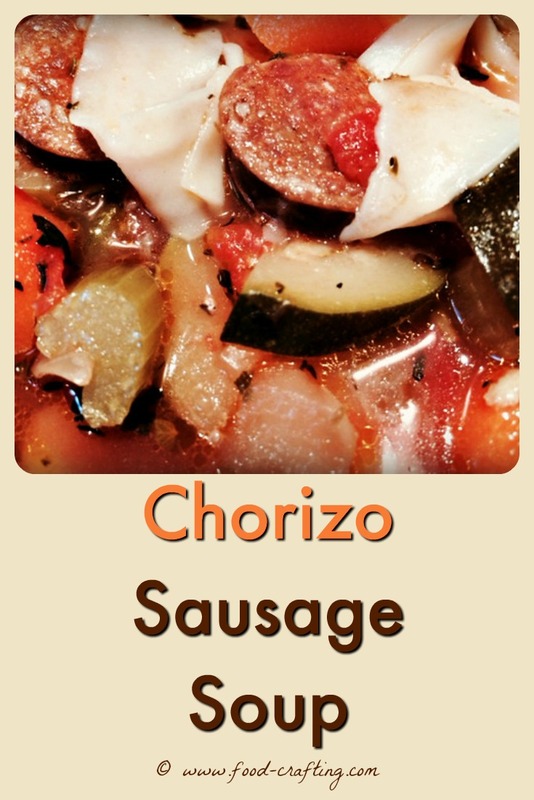 Just replace regular sausage with chorizo in any soup where sausage is an ingredient. You will immediately add a spicy kick to the recipe! One of our favorite Chorizo sausage soup recipes with vegetables is perfect for a chilly weekend meal. 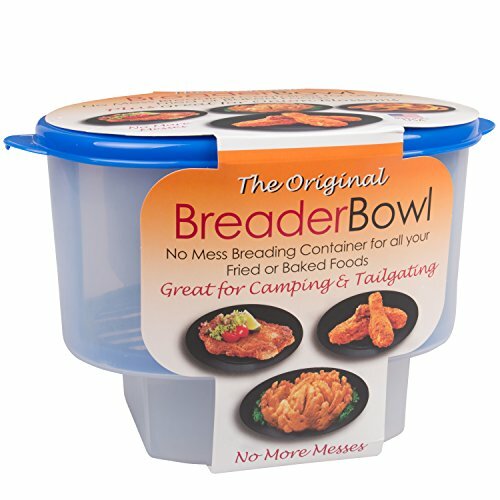 Add a cheese tray, fresh rolls and a glass of wine! Brown onion, celery and carrots in olive oil/butter mix on medium heat. Once onions begin to soften, add spices & stir gently till well covered by oil/butter and aromas develop. Add can of tomatoes with liquid, crushed garlic and low sodium chicken stock. Season to taste. Mix well & allow to simmer for five minutes. Add water, mix well. Allow to simmer for a bit. Add diced zucchini & pasta. Simmer on low till pasta is tender & zucchini cooked. Serve with fresh bread, a cheese tray and a glass of wine. 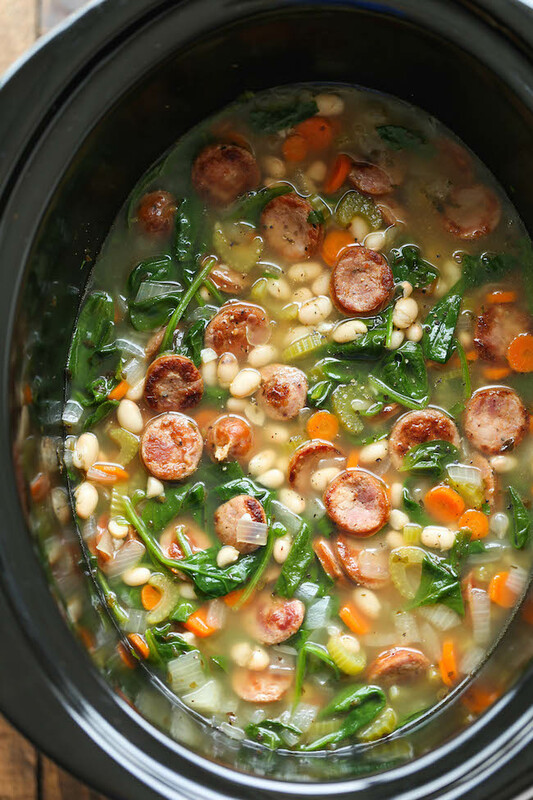 Let’s start the soup collection with a recipe that looks as if it were prepared in my crockpot! This recipe does not specifically call for chorizo. It calls for French Andouille sausage but no worries here. Andouille is Chorizo’s French cousin! I’ve found a similar soup prepared with kale but spinach may be a little milder and more to everyone’s taste. Short on prep time with easily available ingredients – Can’t wait to make this is my crockpot! Every recipe on this site is damn delicious! Another slow cooker recipe and for Fall, an hommage to pumpkins and soup. 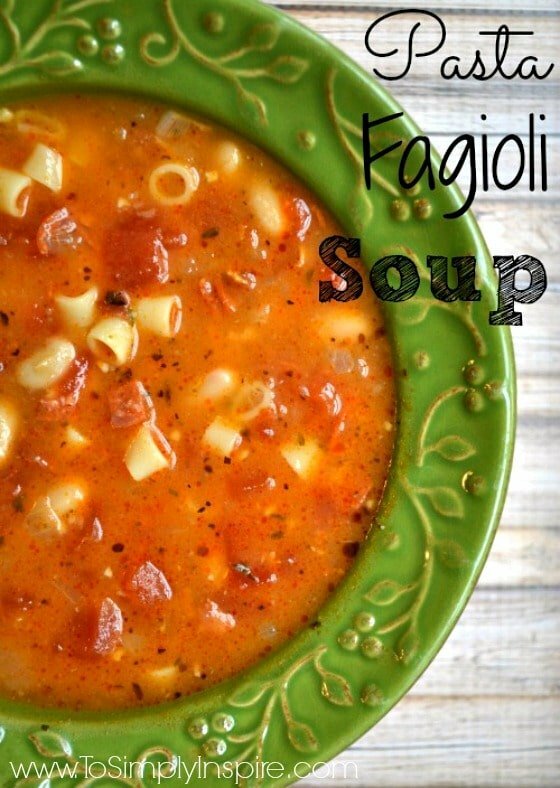 What a delicious combination of ingredients is a hearty soup! It even has sharp cheddar cheese. Carolyn Dreams About Food 🙂 Me too. This may be an Italian classic but who says you have to use pepperoni? Use chorizo! Now I am torn between Minestrone or Pasta Fagioli – which soup will be simmering in the crock pot as the family gathers for Thanksgiving this year from all points on the map? Sherri, I am inspired. This incredibly tasty version is going on the menu this November! Need another choice for a heart warming soup? This soup is made with rice. Lots of tomatoes and of course some spicy sausage. This recipe is from DietHood but we’re not talking about diets here. Just yummy food! Now if any soup comes close to a meal in a pot, this is it. We can use Chorizo or Andouille or spicy Italian sausage to achieve close to the same taste results. Unless you tell the dinner guest you did NOT use Italian sausage, who’s to know except the cook? I could not resist adding just one more recipe to this round up! This variation uses white beans. The sausage can be chorizo, the kale can be spinach. Grab what you have in your pantry or prepare the recipe as written. Either way, I bet it will taste incredibly good with a thick slice of country style bread. This recipe is from Samantha’s collection of quick and easy recipes. Now I need to select one of thesea Chorizi sausage soup recipes, print out a shopping list and start cooking! 1 A Vegetable & Sausage Soup!